Ever since 1984, Lucinda Ellery has been the number one choice for women searching for glamorous and life-changing hair restoration, which is also safe and secure. 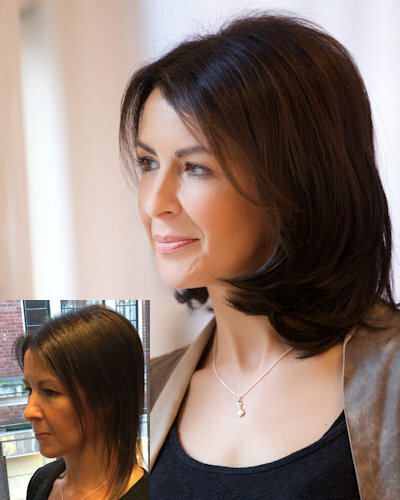 Our studios offer creative, individualised hair restoration solutions for women suffering from varying degrees of hair loss. 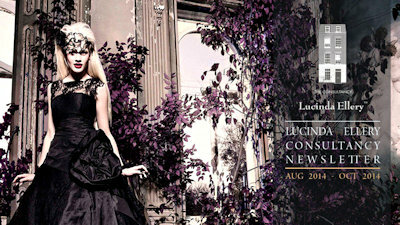 We understand that you want your hair to look both natural and fabulous. We look forward to welcoming you to one of our Studios and helping you to look your best. Sadly, chronic hair loss is not something that can be magically cured by your GP, and all too often it seems that the medical profession does not take the condition seriously enough. 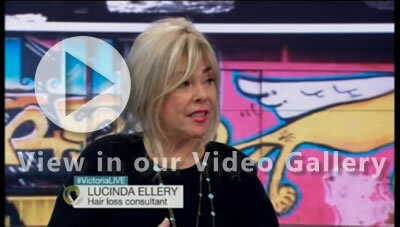 Lucinda knows first hand the devastating effects of hair loss. 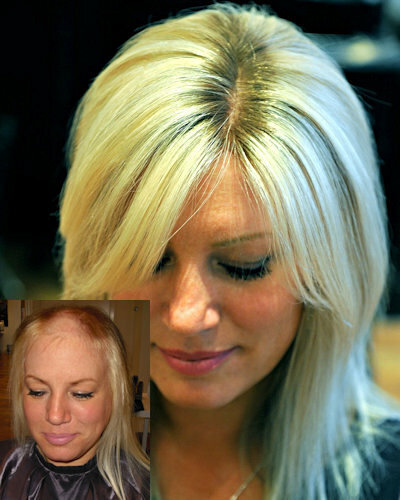 She lost her father when she was just 10 years old and her hair immediately started to fall out. This inspired her to create a unique hair replacement system to improve the density and appearance of a ladies hair. 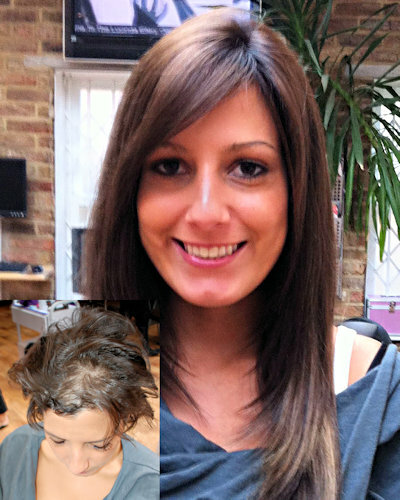 Just click on the hair loss conditions below to find out how we can help you, and give you a gorgeous head of hair again! Not only do we provide practical answers to your hair loss problems, but most women who come to see us find invaluable psychological comfort from us, and from others who are in similar predicaments. We can help you - so please call us today! 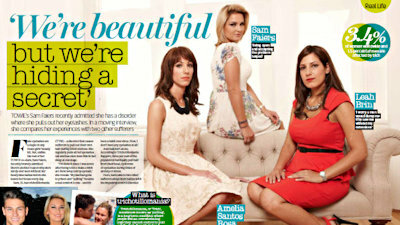 Lucinda and client Charlotte Suggett discuss Trich and how it can be treated. Using the Intralace System™ to combat hair pulling. Watch Hannah Westwood being interviewed by Gabby Logan about using the Intralace System™ to combat hair loss following radiotherapy treatment.